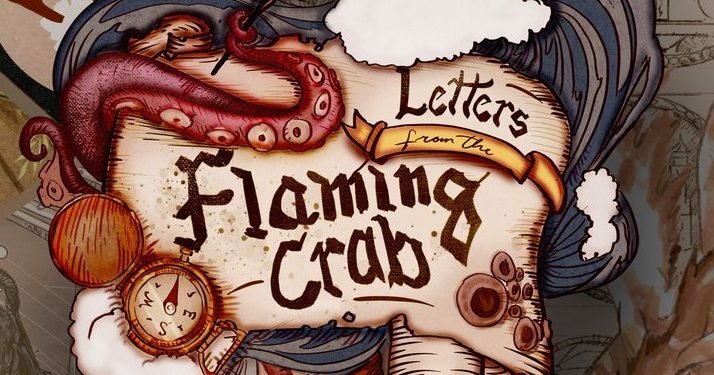 Earlier this year J from Flaming Crab Games contacted us and asked us if one or both of us wanted to be a part of an upcoming Letter From the Flaming Crab. If you haven’t checked out this line of products, they are quirky and a lot of fun. Kelly has had the pleasure of working on several of them in the past (including Dinosaur Companions), and Ken had fun being a part of the team for World Tree. Which meant the answer was an easy yes. The product features two different races – gnomes and gremlins. The easiest way to break down the writing was by race. The gremlins (or Mogwai) were written by Margherita Tramontano, who has fifteen different credits to her name with an assortment of publishers, and the gnomes (or gyrenomes) were written by the team here at Dire Rugrat Publishing. We are quite proud of our little gyrenomes, and while we won’t be giving away any big details (you’ll have to learn about these guys in the Letter! ), they are a whole new take on gnomes. Delighting in the thrill of creating technology, an area most of their fellow, more typical gnomes would dare not touch, these underground dwelling inventors would love to be left to their own devices and underground warren, but Margherita’s troublesome mogwai are proving to be a bit of a nuisance for these guys and gals! We worked together on the malfunctions chart, which adds a whole bunch of fun when your players try to use a device that has been tampered with, or just wasn’t made quite right. 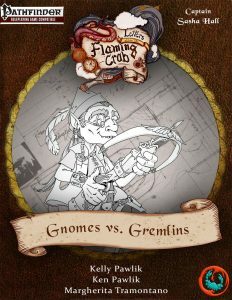 These two feuding races are fun in their own right, but by combining the two of them into one PDF, Flaming Crab Games has handed GMs the perfect setting, along with several notable NPCs from each community, to insert into their own campaign, or just use for a one off session. In short (and we’re a bit biased here), J Gray has lead a capable team in creating a pretty fun little PDF…. And it’s available on DriveThruRPG!